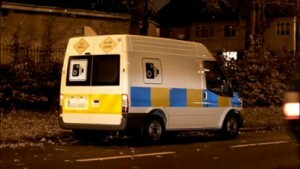 Since their introduction in November 2010 the GoSafe speed enforcement vans have been a source of controversy. The latest twist in this ongoing saga saw Gardai withdraw prosecution against a man at Ennis district court after his solicitor requested a copy of the contract between the state and the private company operating the GoSafe vans. The Go Safe Consortium is reported to have re-registered as an unlimited company so it no longer has to publicly file annual accounts. Judge Patrick Durcan has previously dismissed GoSafe prosecutions in his court and has in the past been heavily critical of the handling of GoSafe prosecutions saying they were “badly and appallingly” put together. Judge Mary Devins has also struck out or adjourned cases which rely on GoSafe operators for prosecutions. This is the latest in a long line of issues which have dogged the operation of private speed cameras from the outset. An RTE Prime Time report in April of 2014 saw a former GoSafe employee reveal motorists were wrongly fined for speeding offences while in December of that year the Fine Gael TD Patrick O’Donovan called for the Oireachtas Transport Committee to conduct a review the GoSafe cameras after a number of speeding cases were dismissed in Cavan, Monaghan, Clare and Limerick. The zones in which the ‘GoSafe’ fleet of speed camera vans can operate is regurlarly updated and has been extended since their introduction. A full list of locations is available on the Garda web site at www.garda.ie.